Organize your photos, sound recordings, and video segments into scrapbooks for each member of your family. Preserve cherished memories. 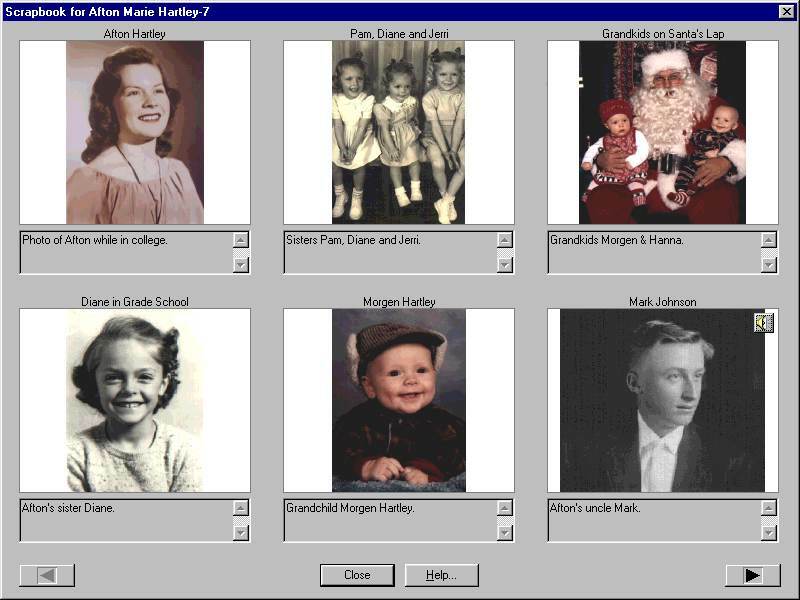 Attach a sound clip to each photo -- have your grandmother describe the event to her great-great-great grandchildren. Share your scrapbook with relatives on your web page. Click Here for a sample web page generated by Ancestral Quest. Organize your photos into timed, choreographed slide shows. Add music or narration to play while the slides are showing. 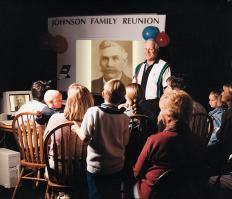 Share these memories at family reunions or with your grandchildren.